OCEANFRONT PINE ISLAND. 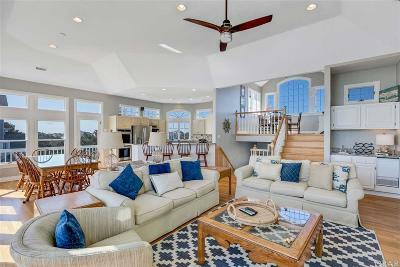 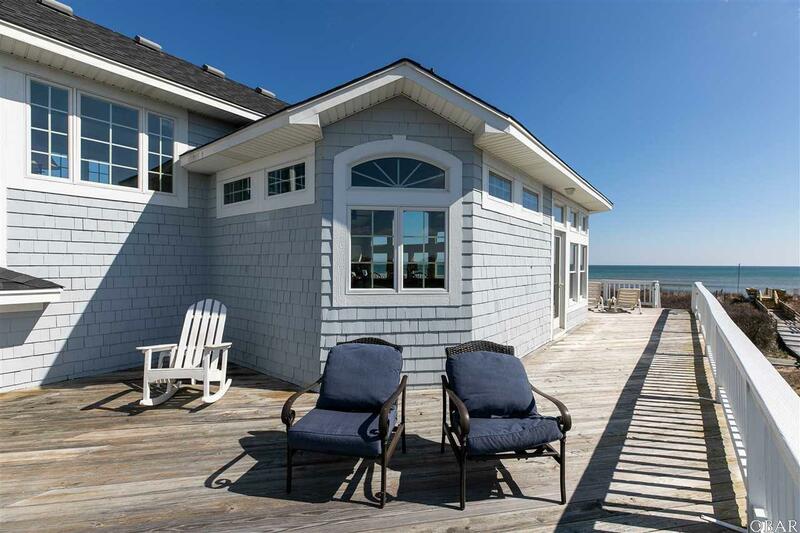 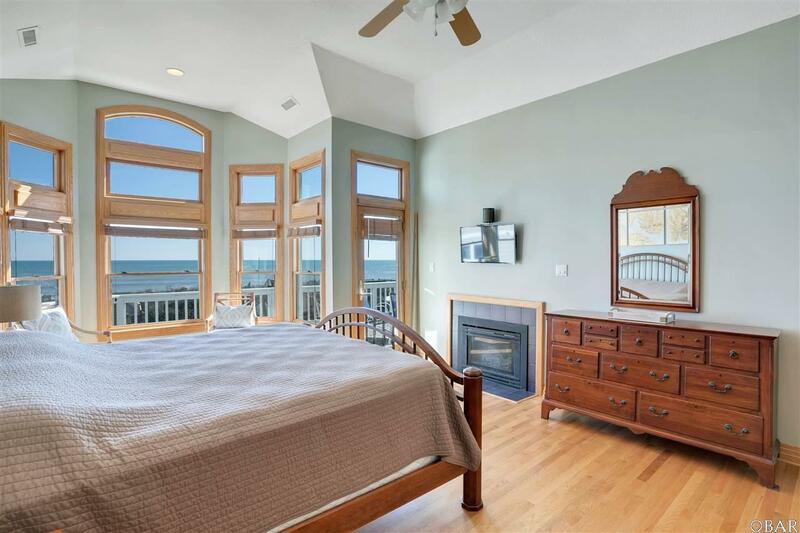 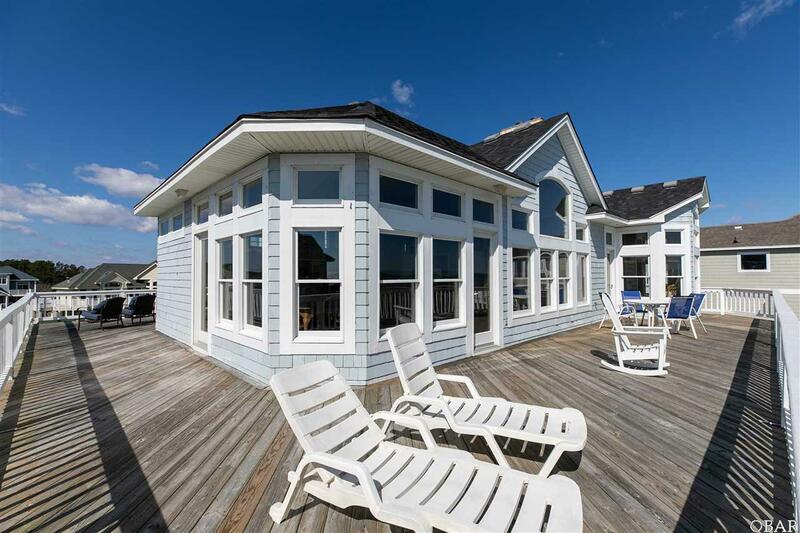 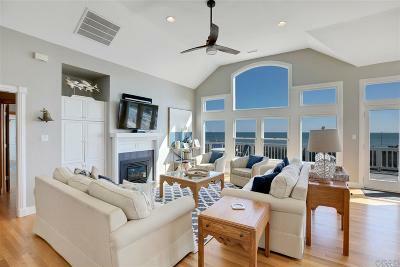 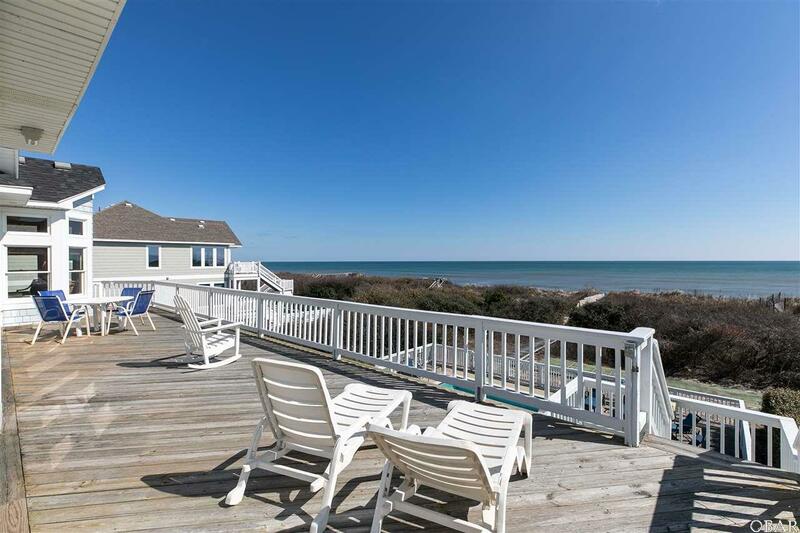 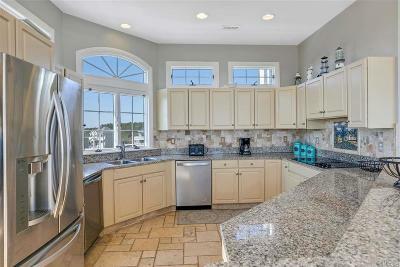 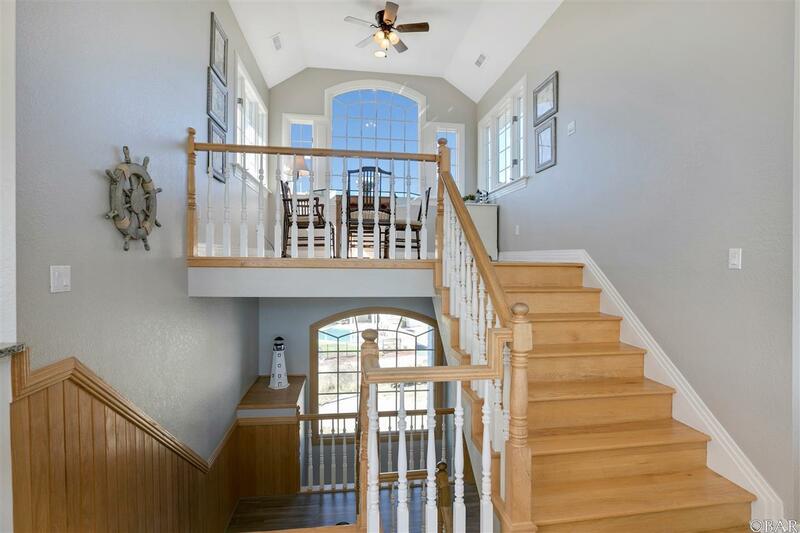 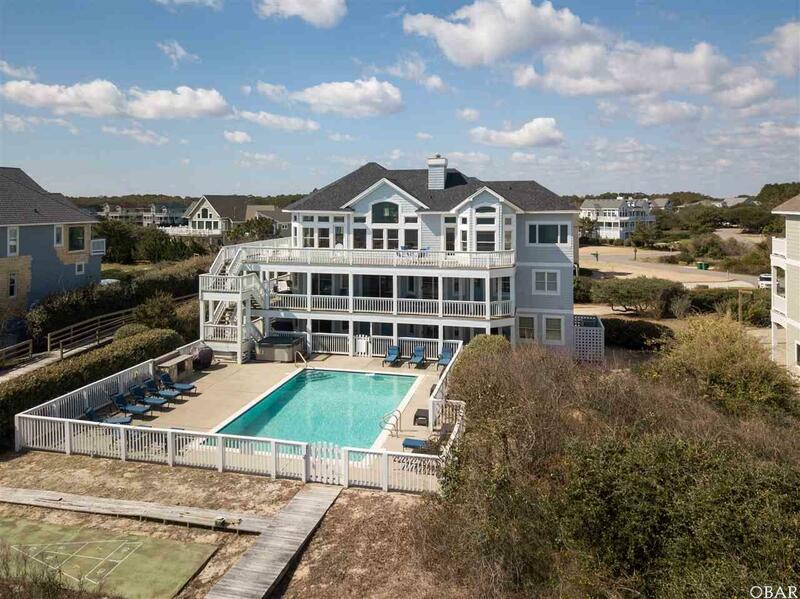 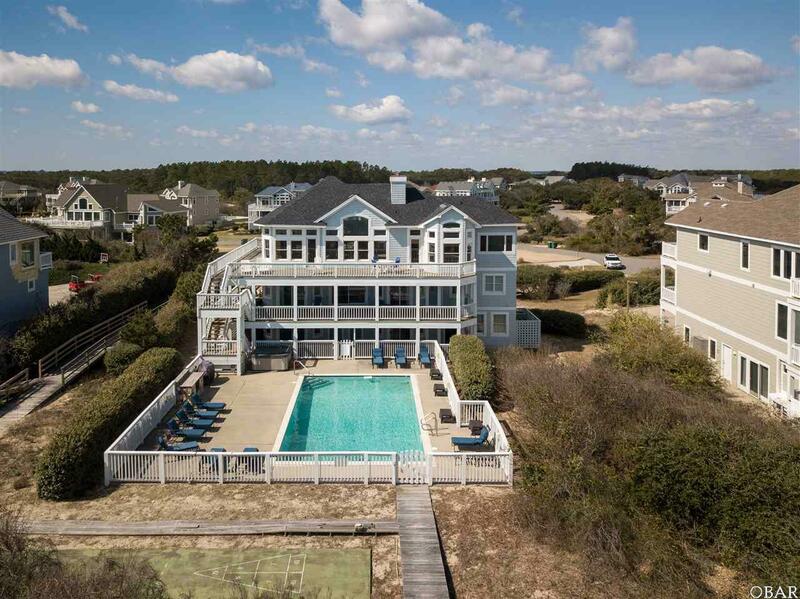 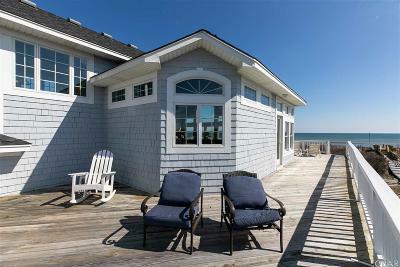 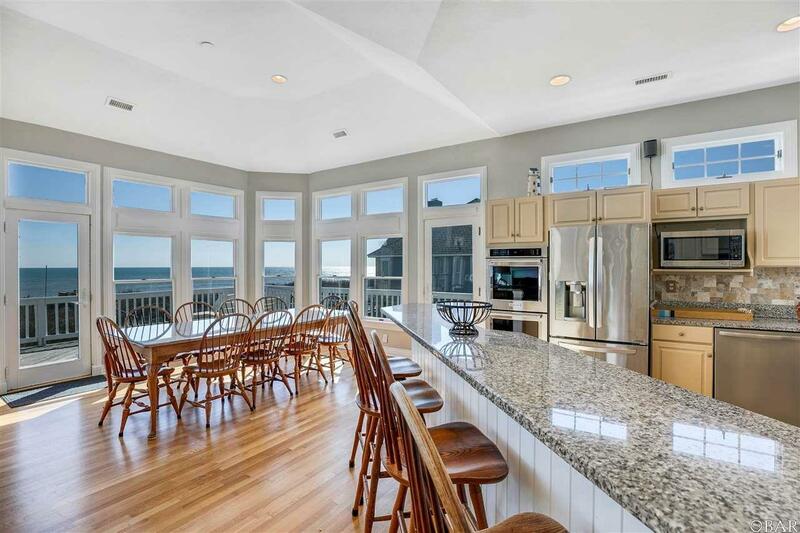 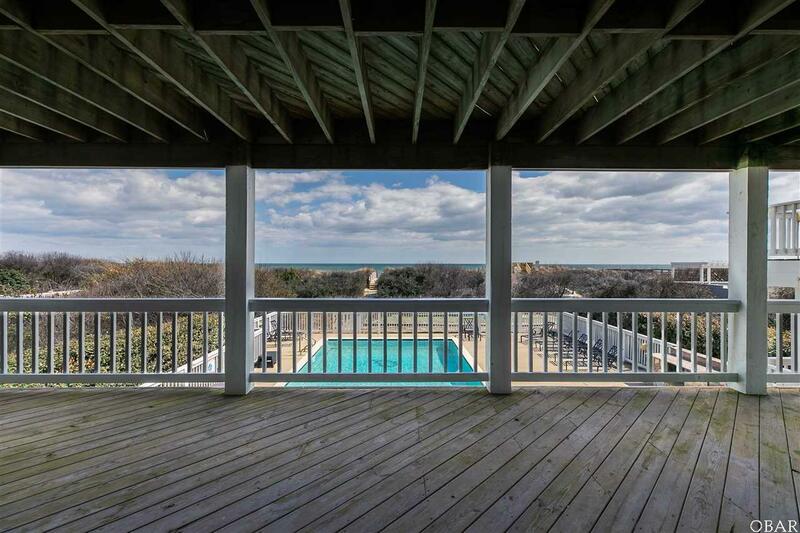 Located on a quiet cul-de-sac, you'll love hosting friends and family in this stunning oceanfront home while enjoying the Outer Banks coastal lifestyle. 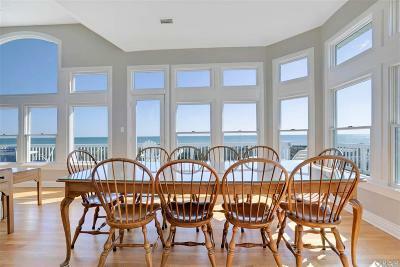 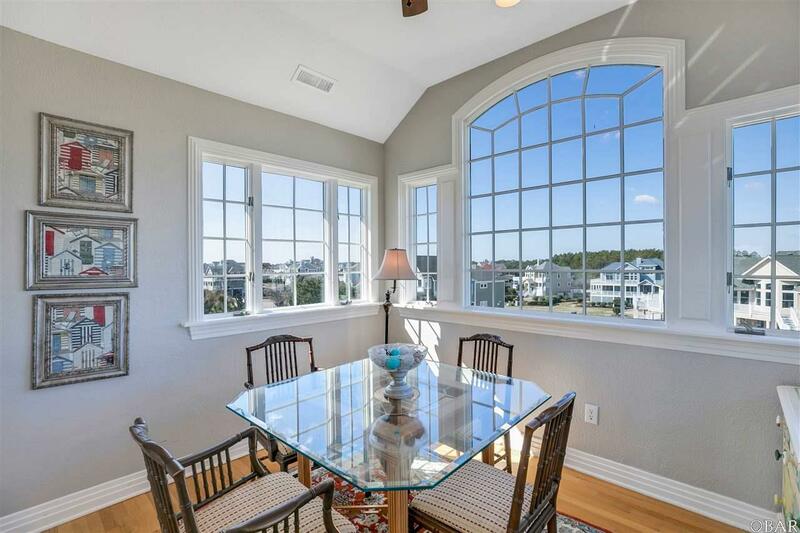 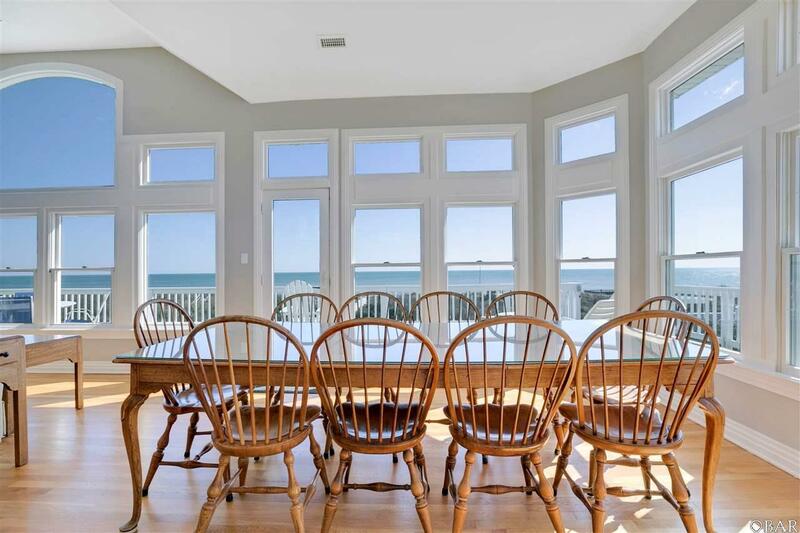 A very open, wall of windows in the great room offers not just amazing ocean views but a well-planned expanse of comfort. 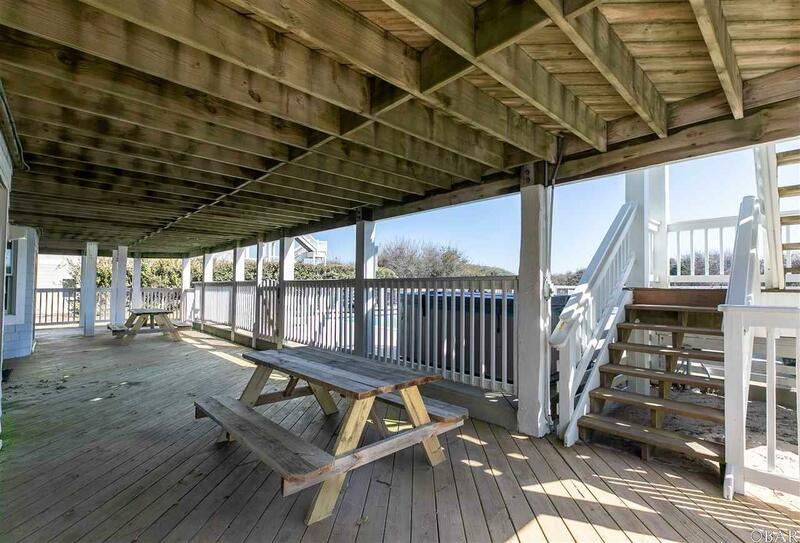 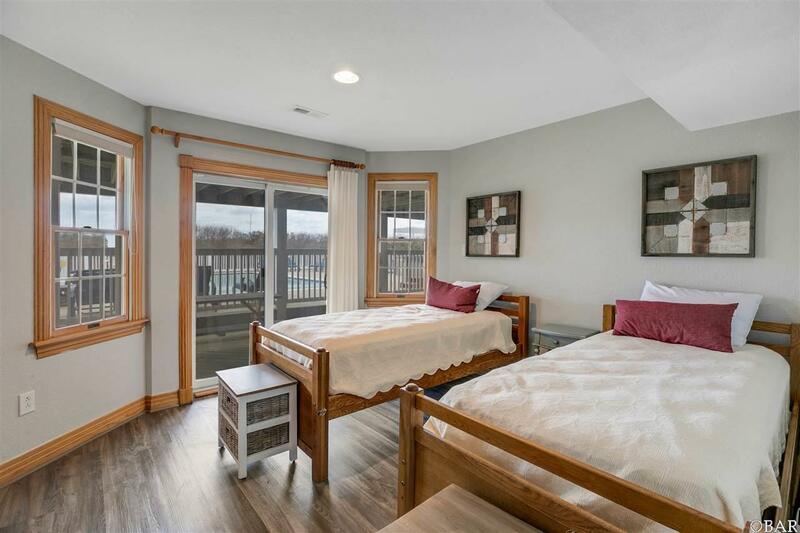 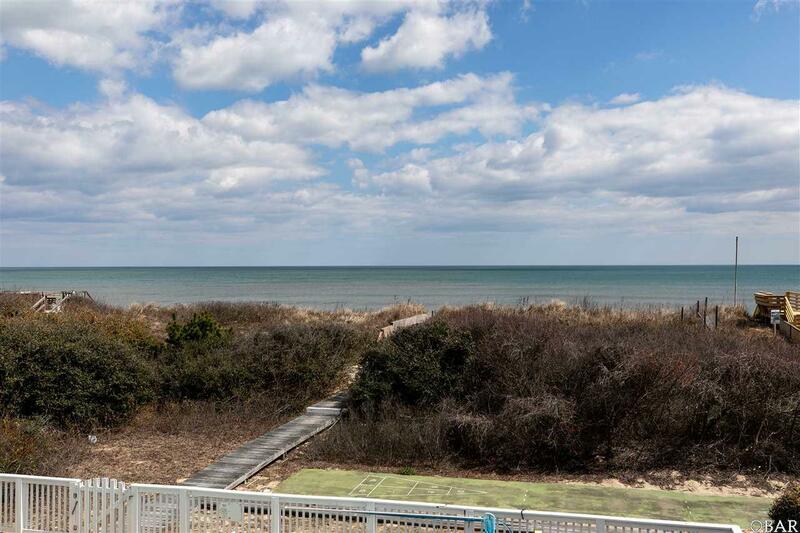 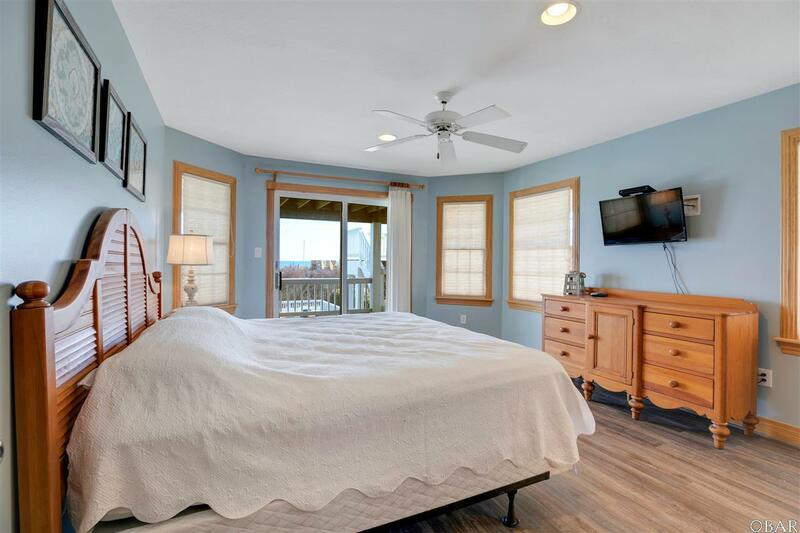 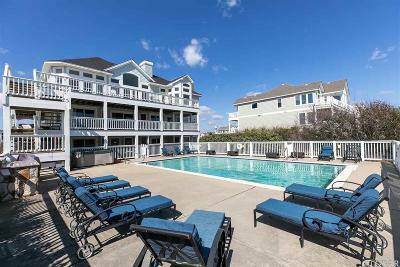 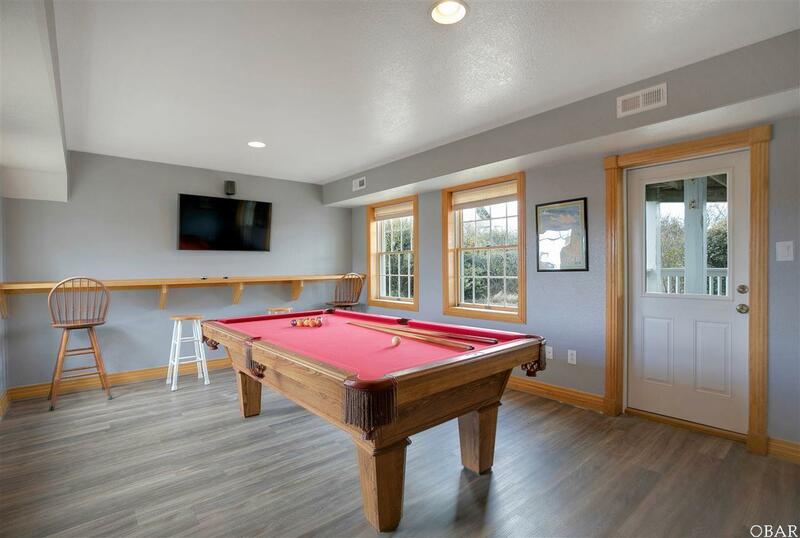 Enjoy the outdoors with spacious decks for the sun worshipers and cover decks, gas grill, shuffleboard, 20x40 private concrete pool with access to both a full cabana bath and outside showers, hot tub, basketball hoop, and private walkway to the beach! 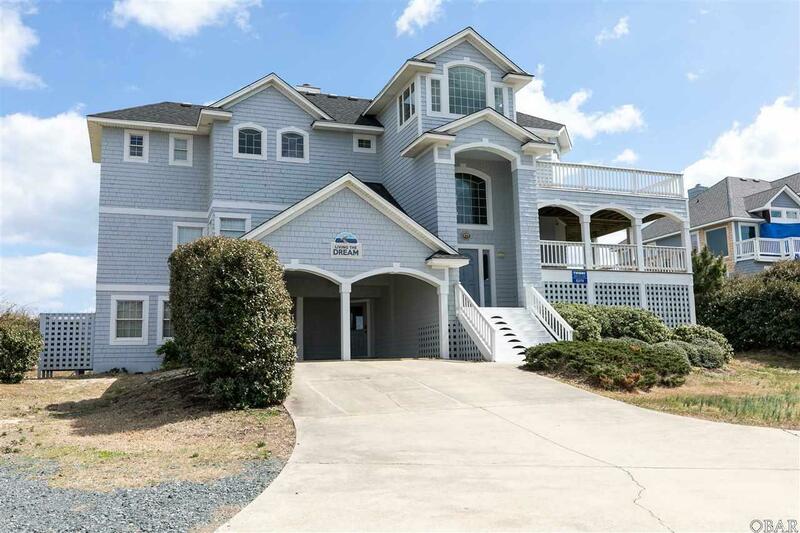 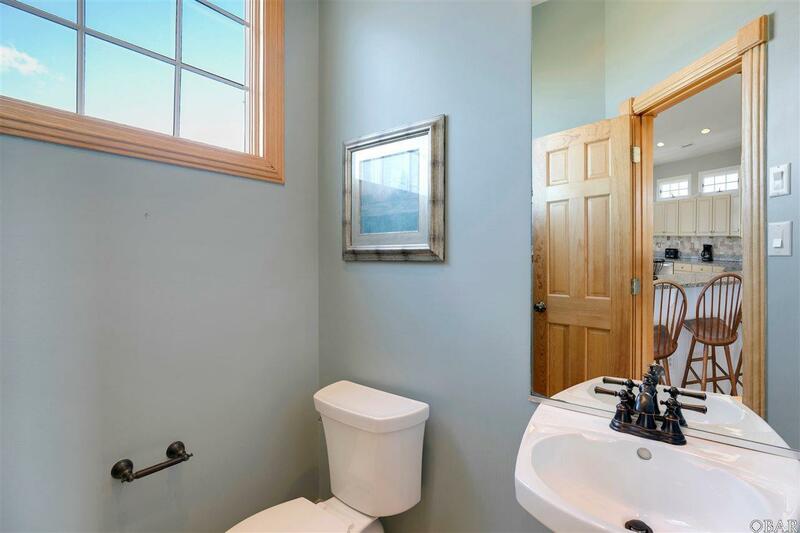 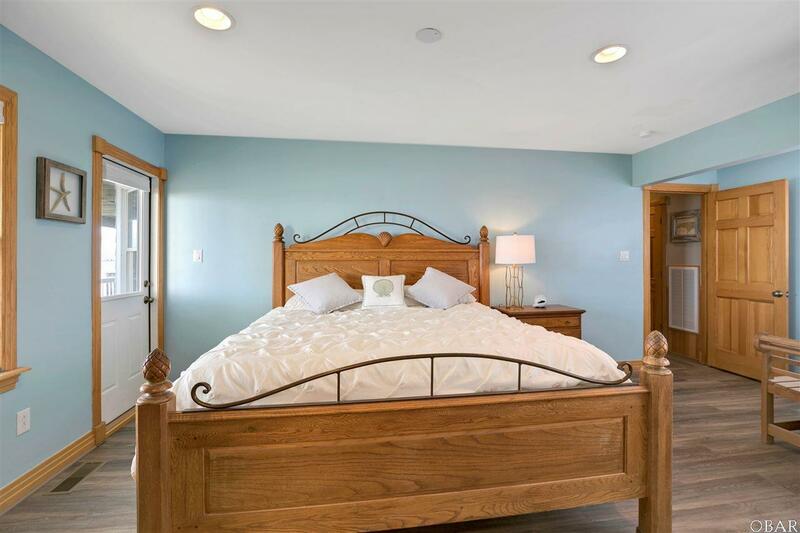 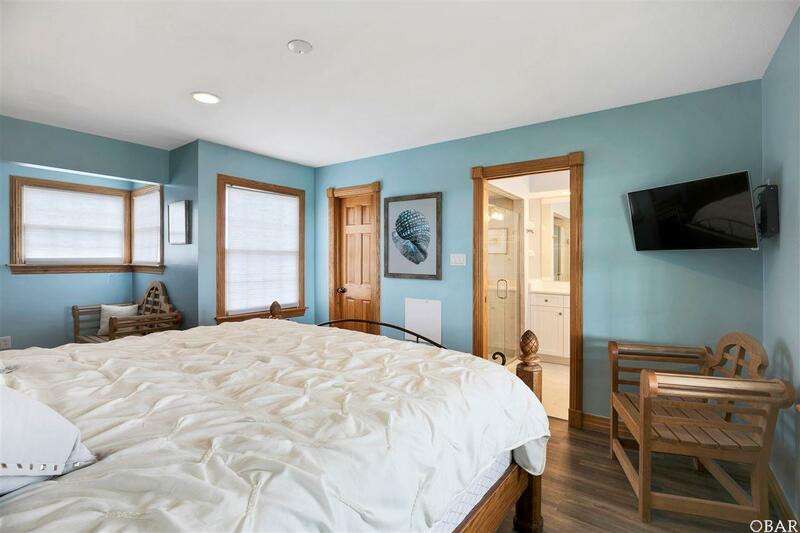 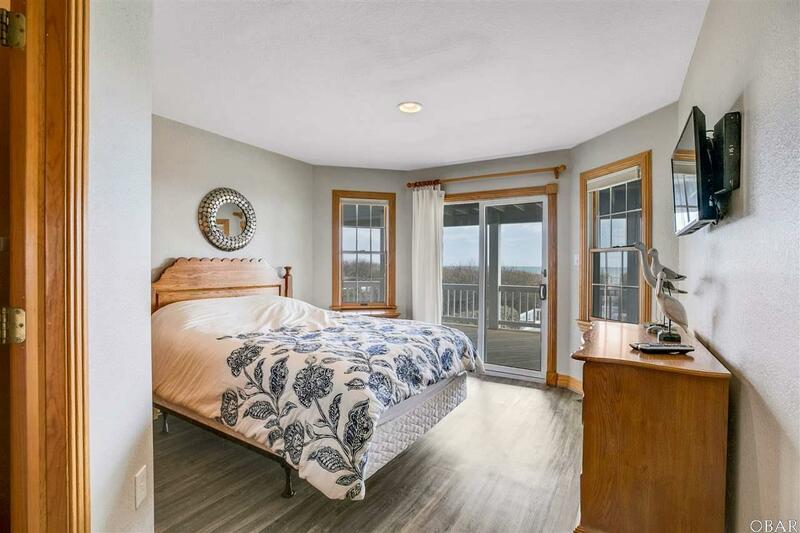 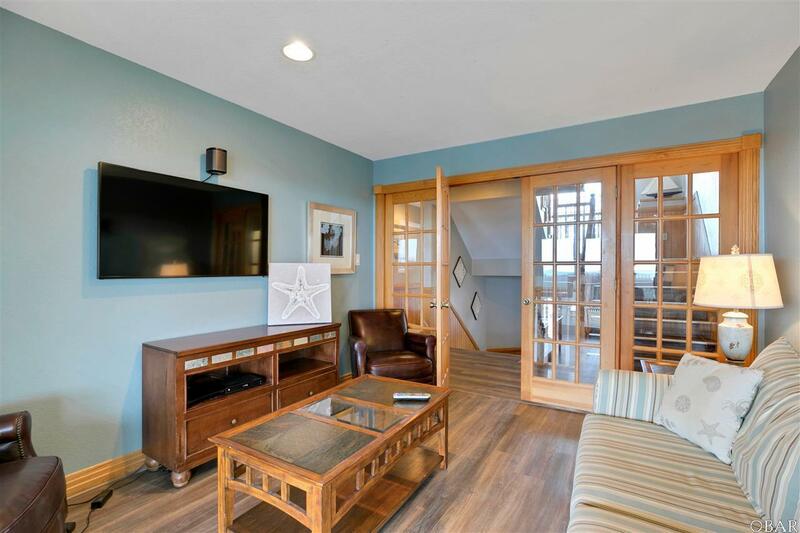 When inside the home you can enjoy loft area with views of both the ocean and sounds, a billiard room, updated media room, separate den area for smaller groups, 5 1/2 freshly renovated bathrooms, 6 bedrooms of which 4 are ensuite and 1 includes a gas fireplace for cozy evenings. 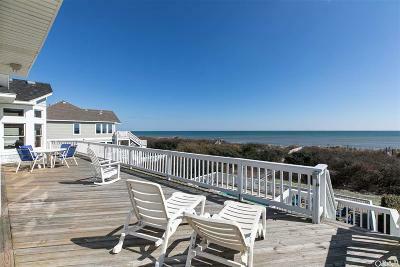 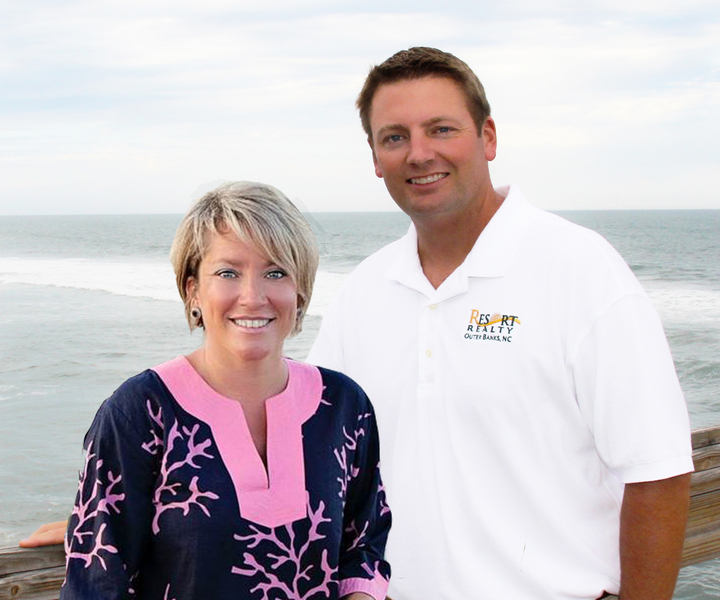 Current owners have made numerous updates and additions that are top-notch and will keep vacationers and guests happy so that rental history will be increasing. 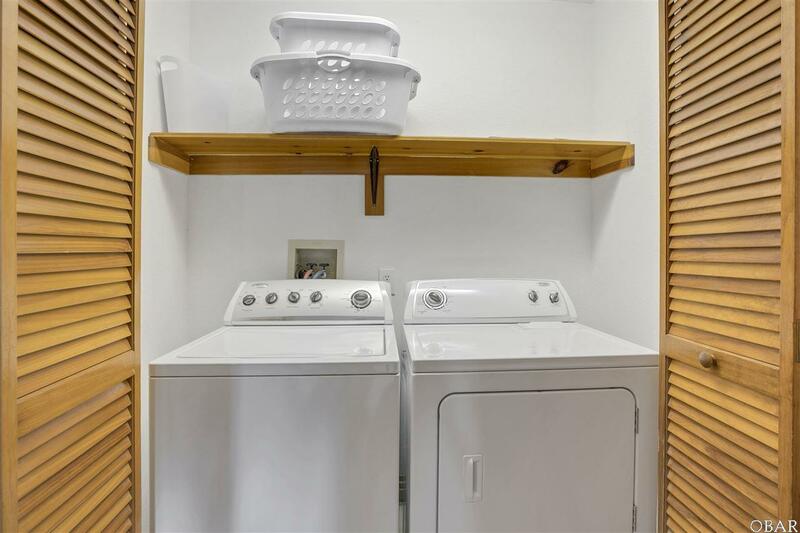 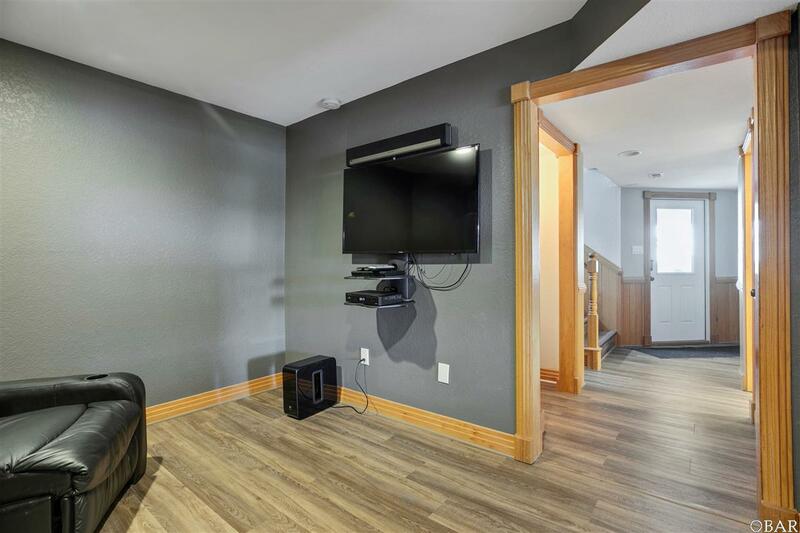 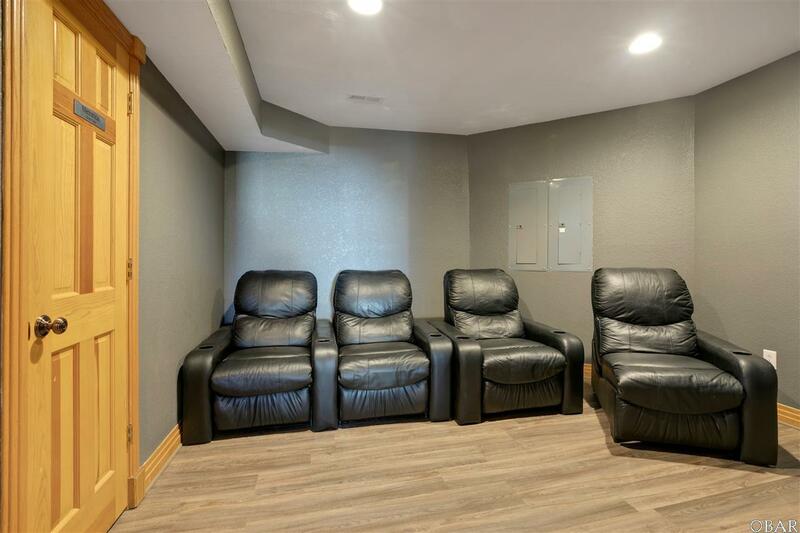 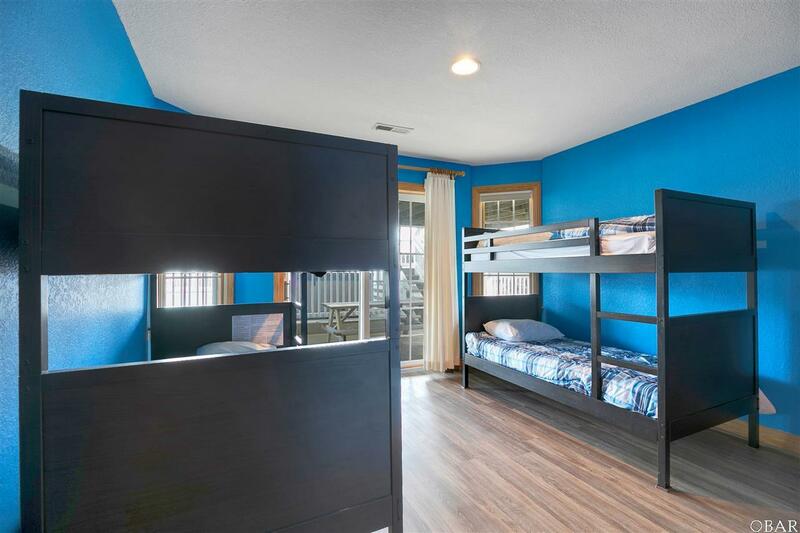 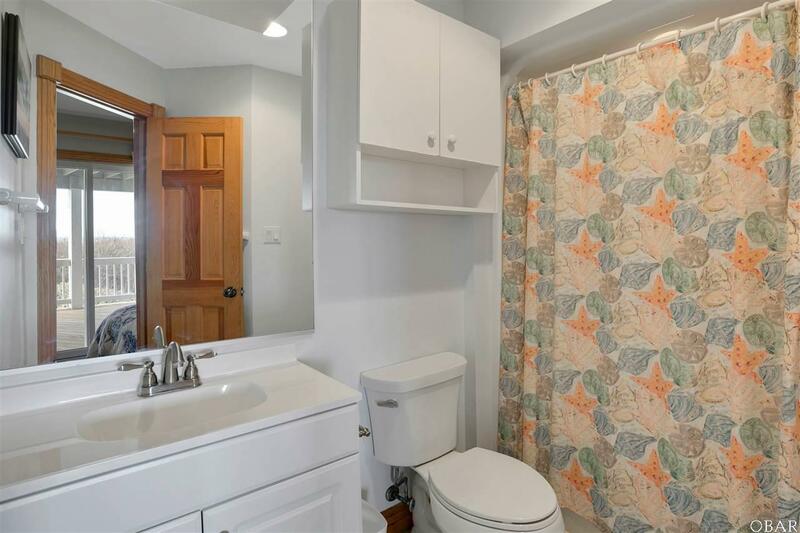 These items include a complete roof and chimney cap (2018), full exterior painting (2019), LVT flooring on lower 2 levels (2017), completely updated/renovated bathrooms (2017), 2nd washer/dryer added to lower level with extra refrigerator on lower level (2017),created another master suite with closet and new bathroom on the south end of second floor (2017), added new cabana bathroom (2017), added media room with theater seating (2017), installed new mattresses throughout house (2018), full house interior painting (2018), installed new light fixtures, ceiling fans,TV's throughout house, new Sonos speaker music throughout, new WiFi system (2018), 2 new dishwashers replaced (2017), new oven range (2017), new windows facing ocean and new doors (2018 and 2019), new outdoor poolside furniture and new patio set on second floor deck (2018) Come and enjoy the stunning views from your place at the shore in the prestigious Pine Island community. 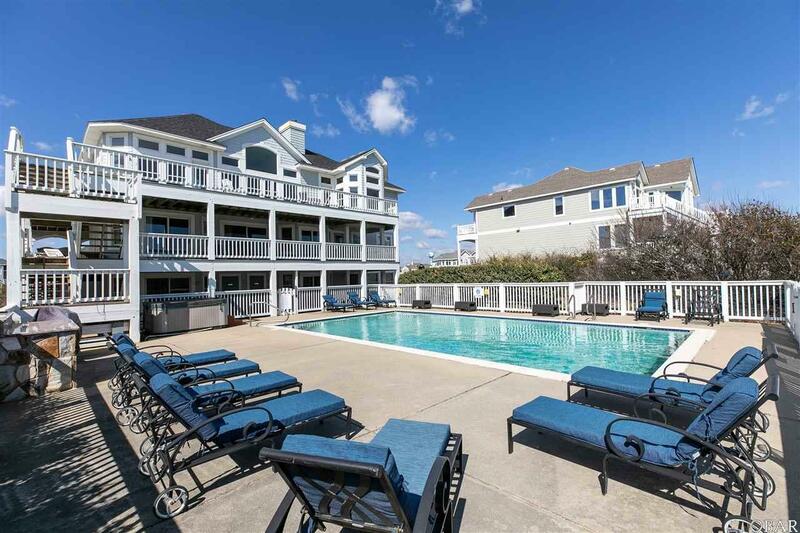 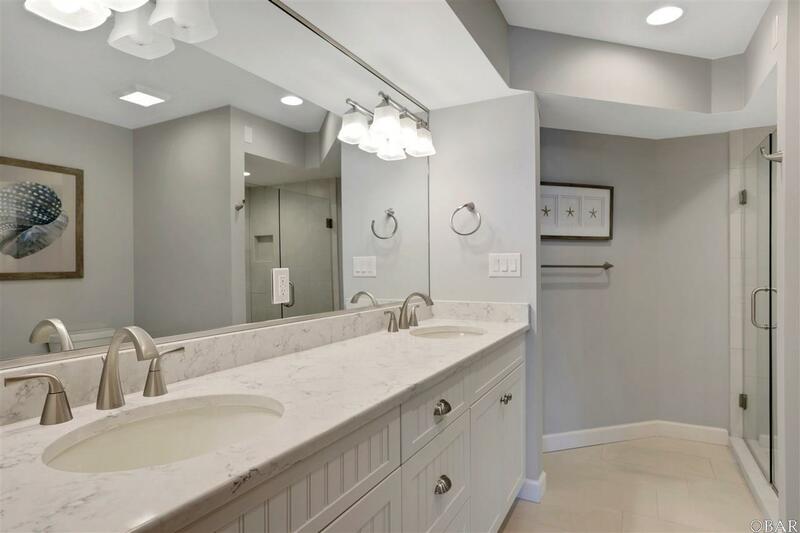 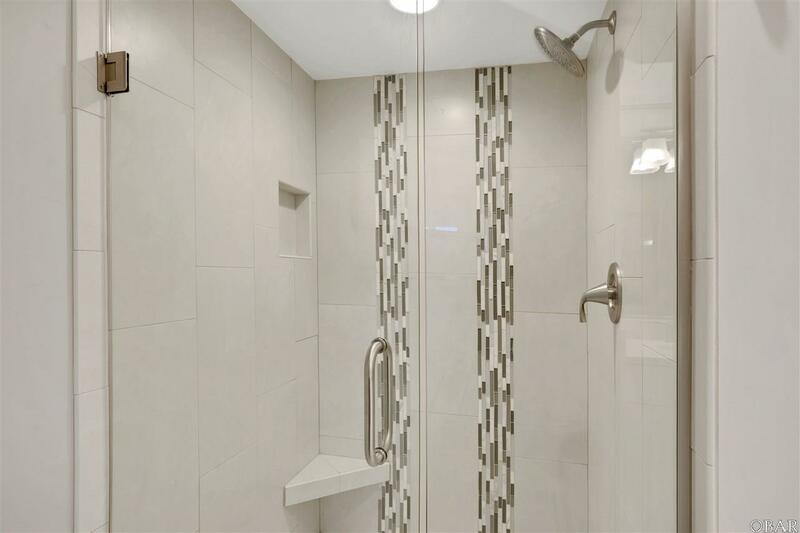 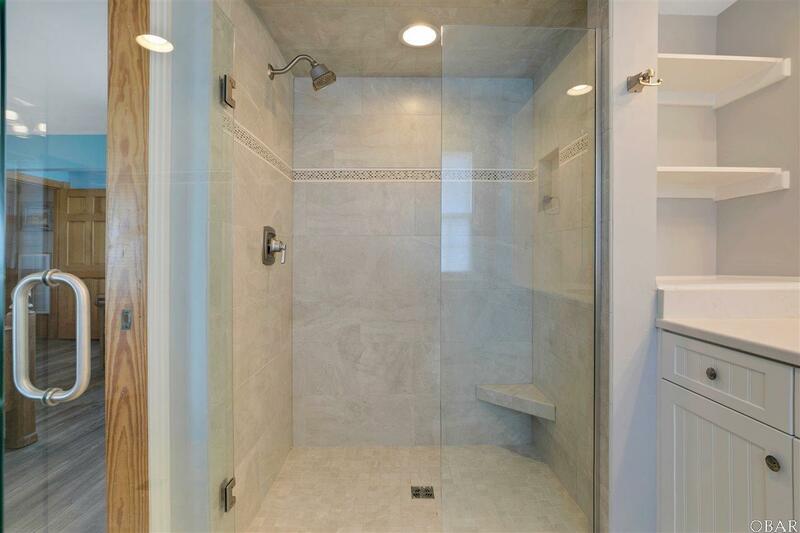 Neighborhood features outdoor pools, tennis, trails, and more! 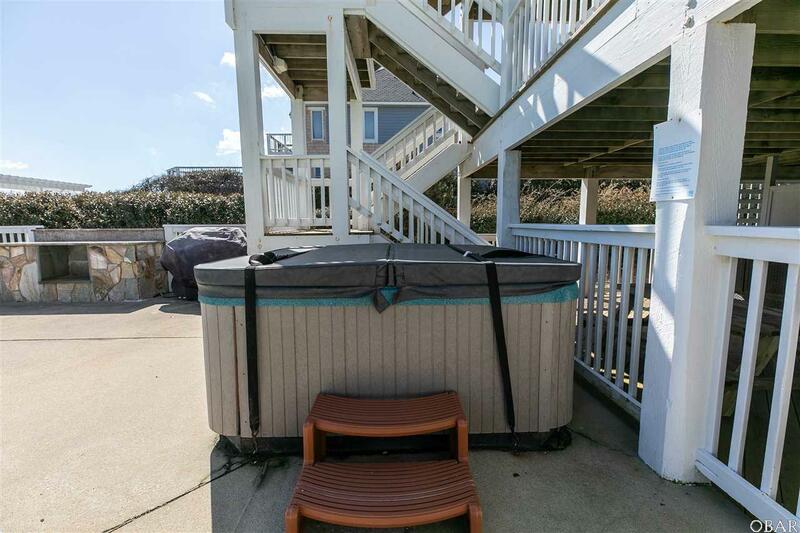 House being sold fully furnished.